Brown Farm. 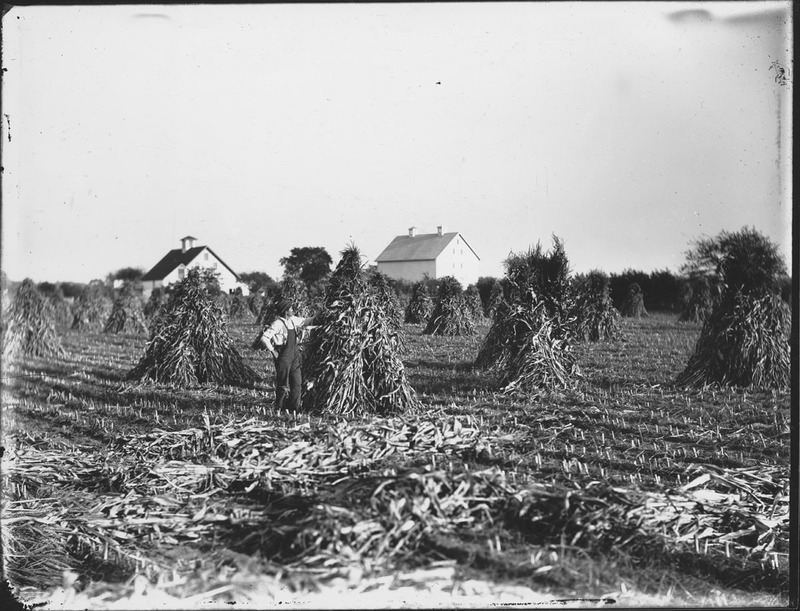 Corn field where corn stalks are stacked in shorn field with man looking at one of them. Two houses are in the background. “Brown Farm,” Peabody Institute Library, Peabody, Mass., accessed April 18, 2019, https://digitalheritage.noblenet.org/peabody/items/show/187.